Bridal Satin Ribbon 1 1/2"
Our full color ribbon is customized any way you wish and your message is visible for all to see. These colorful ribbons are perfect to promote your event, school, club, nonprofit organization, sports team, and more! 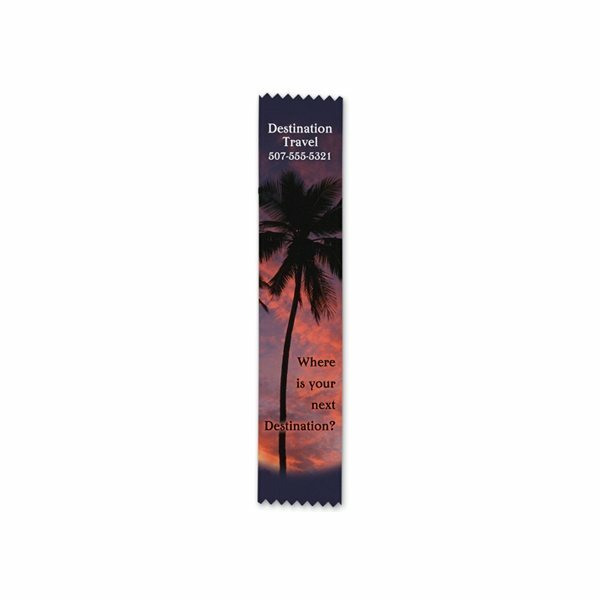 Overall Reviews: WRITE A REVIEW (8)5.005Full Color Ribbon - 2" x 10"
The fabric is durable and light-weight. Our entire staff loved them! We love to them greatly and so do our clients. Great product...looks really professional. I was very impressed with the color and the logo. Rosa is a pleasure to work with and gets things done! I appreciate all his help. Our guests loved them. Thank you.